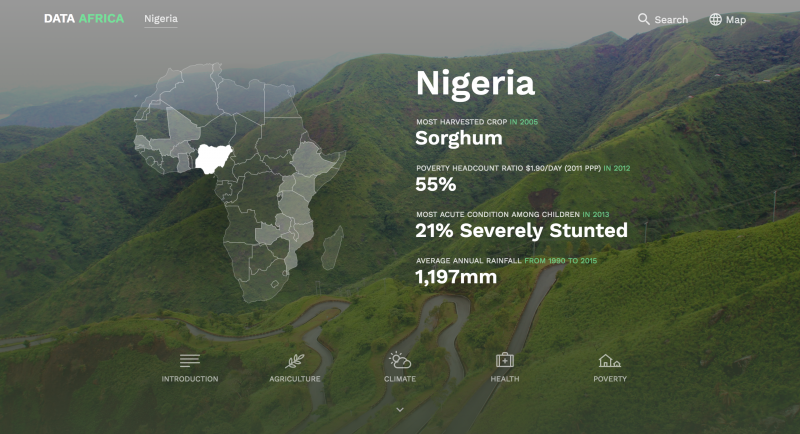 Combine technology, agriculture, and humans in a data visualization platform that succinctly captures the state of different countries and provinces. 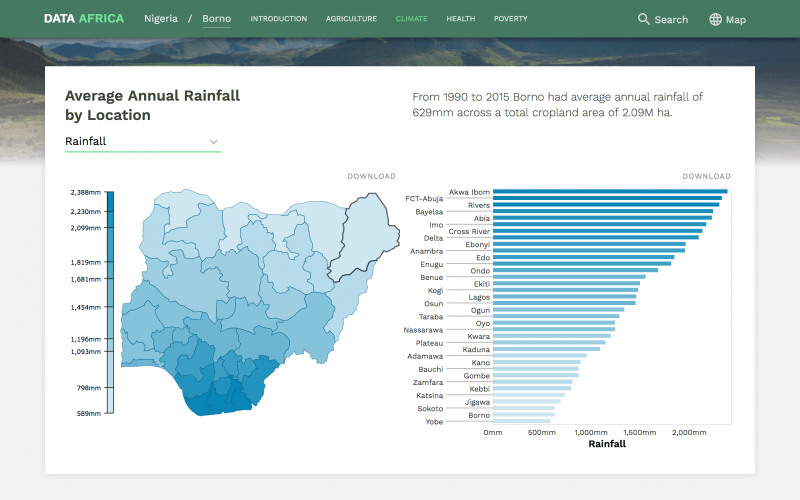 Create a snapshot that outlines the high level stats for a location while providing a table of content section to dig further in to the data. 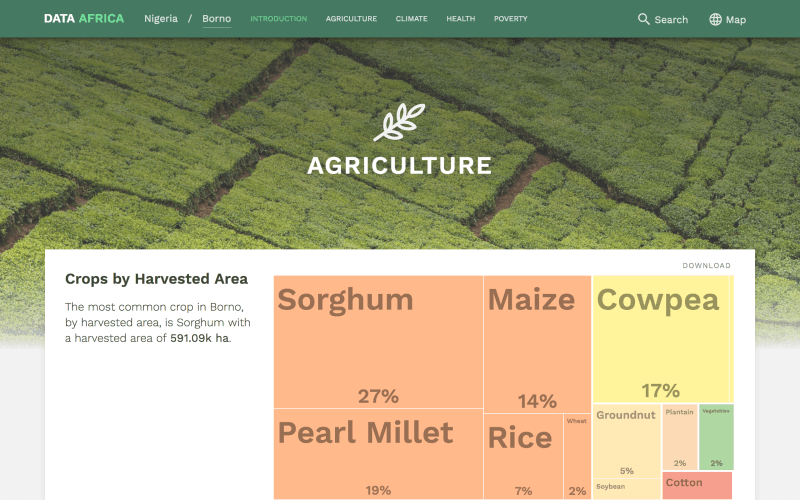 A tool flexible enough for researchers and policy makers, giving users open source data to export and embed for their specific needs.